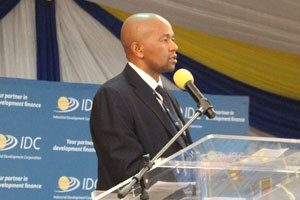 IDC funding to black industrialist grew by nearly 50% in 2015/16, with R923-million of the R2.9-billion approved going to projects in Limpopo, IDC CEO Mvuleni Geoffrey Qhena told the latest IDC CEO Regional Roadshow in Polokwane. IDC funding to black industrialist grew by nearly 50% in 2016. Of the R2.9-billion approved during the reporting period, R923-million went towards projects in Limpopo. 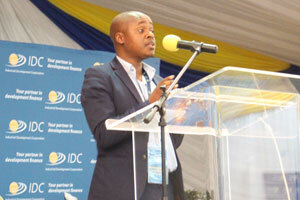 Speaking at a recent road show in Limpopo, IDC CEO Mr Mvuleni Geoffrey Qhena told stakeholders at a packed Boliva Lodge conference that the IDC intends to increase its share of funding to black industrialists. In recent years, the Limpopo regional office has forged strong relationships with both the provincial government and the national departments of Economic Development and Agriculture, as well as with other development finance institutions enabling the IDC to extend its product offering in the province. 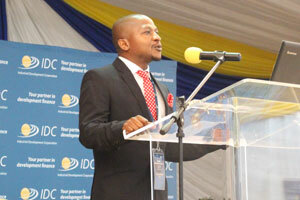 IDC Regional Manager Mr Kgampi Bapela said the IDC team had risen to the challenge of unlocking the growth potential of the country’s fourth most populous province. 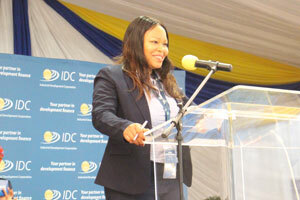 Explaining the significance of IDC support in the province, Ms Kate Machaba who together with Matshela Maleka, co-founded, road surfacing firm Maloka Machaba Surfacing, applauded the IDC for its commitment to supporting black-owned businesses in Limpopo. Counting on IDC support, MM Surfacing has strategically positioned to compete with established firms that are in asphalt production in the process creating a formidable and reputable black-owned entity creating over 30 jobs in the Capricorn district. After a challenging uptake, the company began to experience problems with supply for bitumen. “We terminated the sub-licence with IRRSA and sourced an alternative supply from a locally based manufacturer of quality bitumen binder with similar characteristics,” Tshete said, and this proved to be the company’s turning point. “The product has unique performance characteristics, including that it requires no heating and is applied directly from the container, does not require any mixing, priming or over-sealing – and repairs can be opened to traffic immediately upon completion with minimal disruption,” he explained adding that the company has since grown its staff headcount to 48. Speaking afterwards, IDC CEO Mr Qhena observed that Limpopo continued to maintain its position as SA’s leader in the export of minerals and agricultural produce. The province currently accounts for 7.5% of SA’s economic activity, with mining and quarrying ranking as the largest contributors to the province’s GDP. Qhena said the IDC had invested approximately R5-billion in the province over the last five years, with the bulk of this targeting the mining sector. “Furthermore, our funding support has contributed towards the creation of close to 15 000 jobs during this time,” he said.